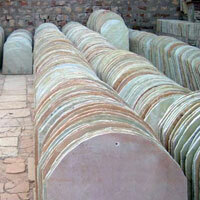 We offer premium Roofing Tiles that are cut out from high-quality Natural Sandstones. The Roofing Tiles, offered by us, are specially processed at advanced manufacturing facility and thus have high strength and durability. 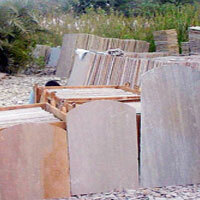 The wide demand of our Roofing Tiles in market proves our claim of being the eminent Roofing Tiles Manufacturer, Supplier, Exporter and Stockist from india. 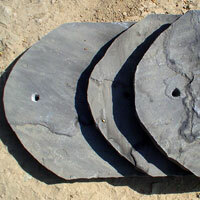 Note : Roofing Slates have a normal thickness of 15/22 mm.